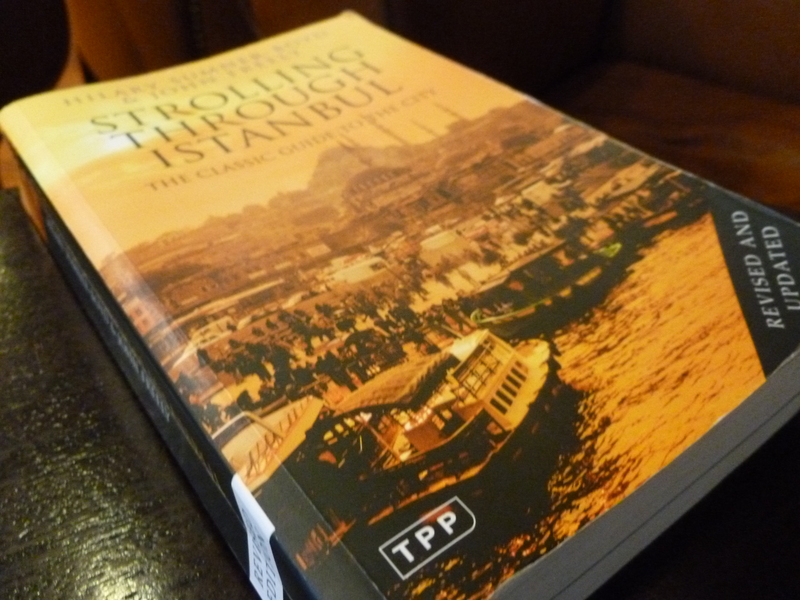 Strolling Through Istanbul: The Classic Guide to the City is the essential guidebook for any curious visitor to Istanbul. Originally written in 1972 by the late Hillary Sumner-Boyd and John Freely, the book has since been revised by Freely and reprinted in 2010. 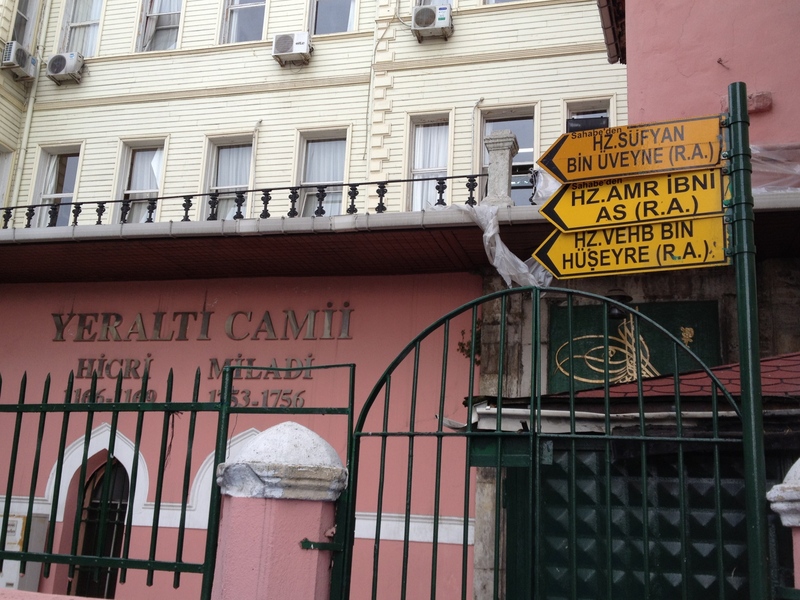 Sumner-Boyd was a professor of Humanities at Robert College, Bosphorus University. 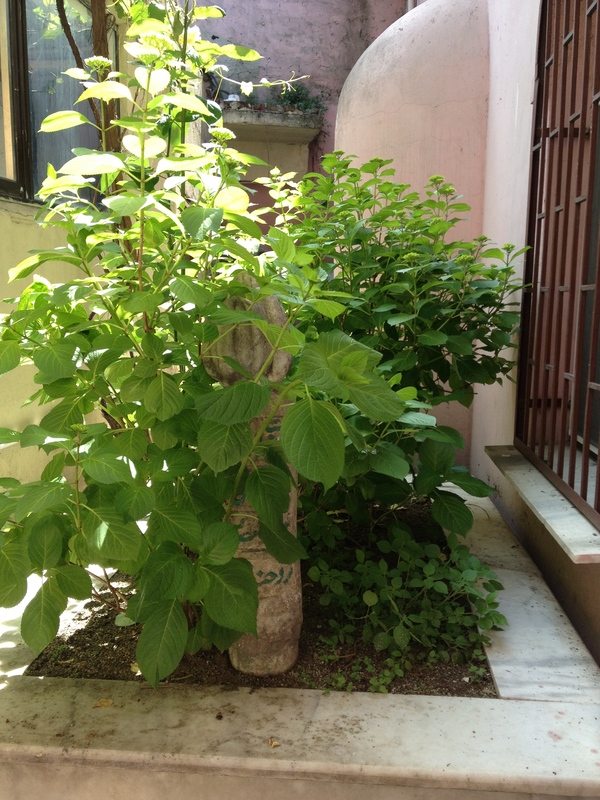 Freely, originally a New Yorker is currently a professor of physics at Bosphorus University in Istanbul and author of over forty books and guides. 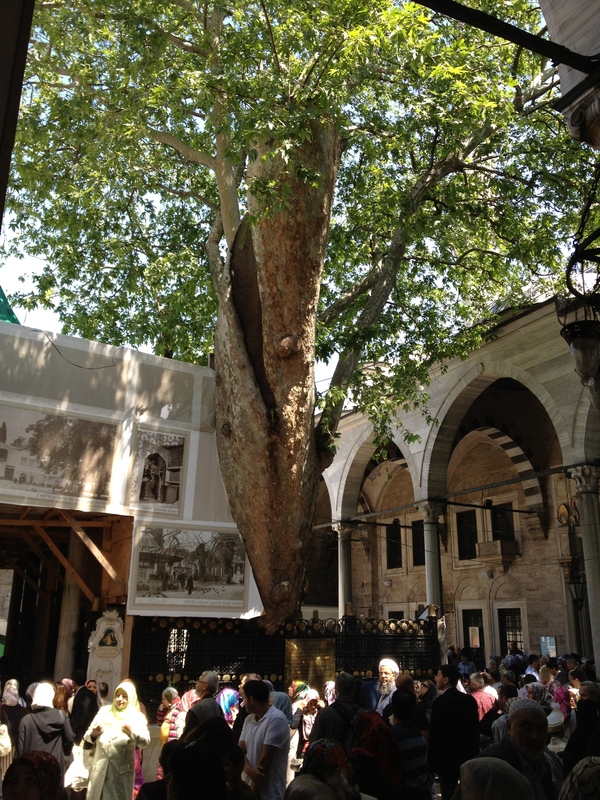 The authors, who are intimately familiar with Istanbul, have outlined several walking tours in and around the city and bring attention to the major historic sites as well as many others often overlooked by tourists. Sumner-Boyd and Freely go beyond simply mentioning historic locations but animate each stop along the stroll with vivid historical descriptions, biographical sketches, and architectural interests. 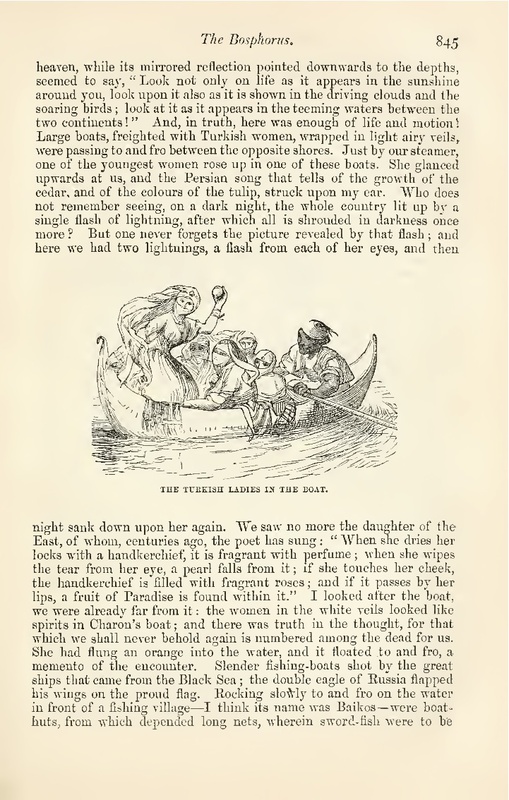 Through their well crafted prose they guide the eye to the more unique aspects of each location. Their engaging personalities and love for the city comes through in their writing making them the ideal tour guides to Istanbul. 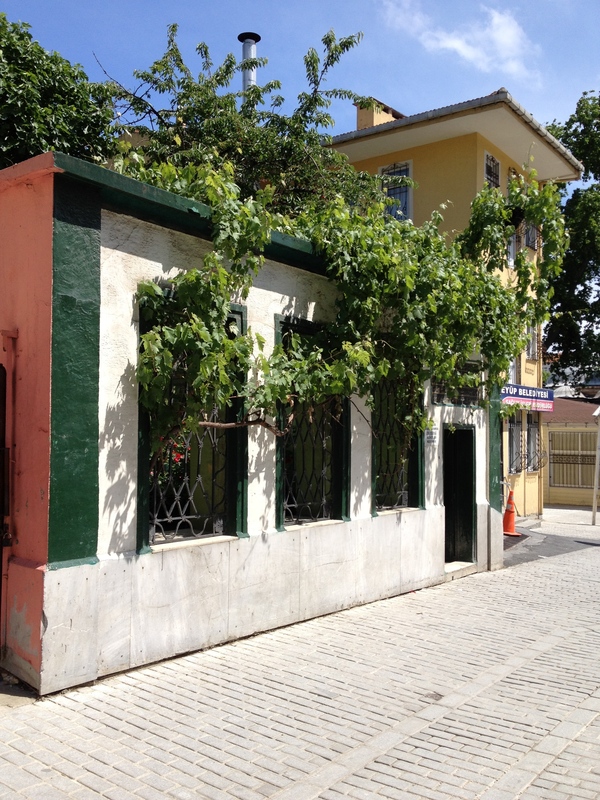 The walking tours are divided into geographic sections for a total of 23 chapters that span up the Golden Horn to Eyüp, along the Bosphorus, and down to to the Prince’s Islands. Despite its considerable size, a generous 487 pages, this book is always tucked into a bag and towed around the city. 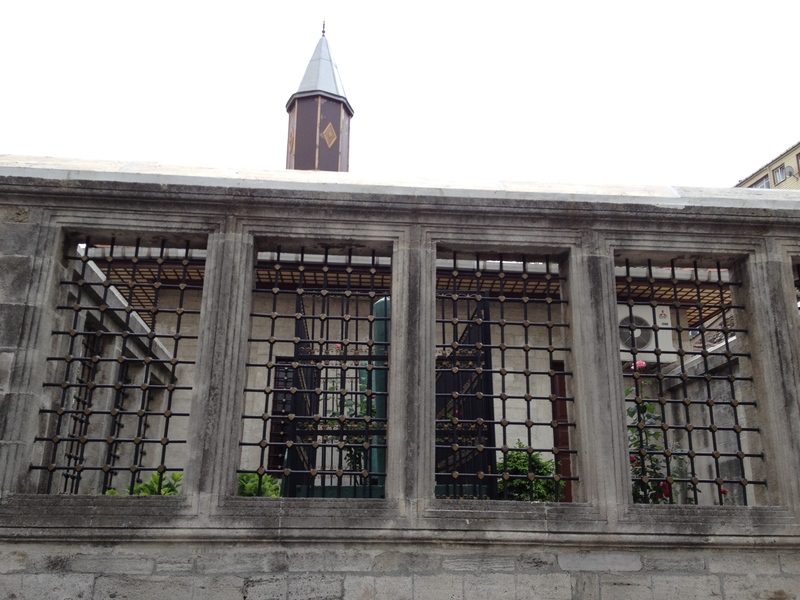 It’s through this guide that we discovered such gems as the Yeraltı Cami (Underground Mosque), Namazgahs (open air prayer spaces), and the serene Küçük Aya Sofia Camii. Leaving Karaköy we begin walking along the seaside road, which is always bustling with pedestrians rushing to and from the ferry station. About 200 metres along, past the ferry pier, we turn left and then left again at the next street. 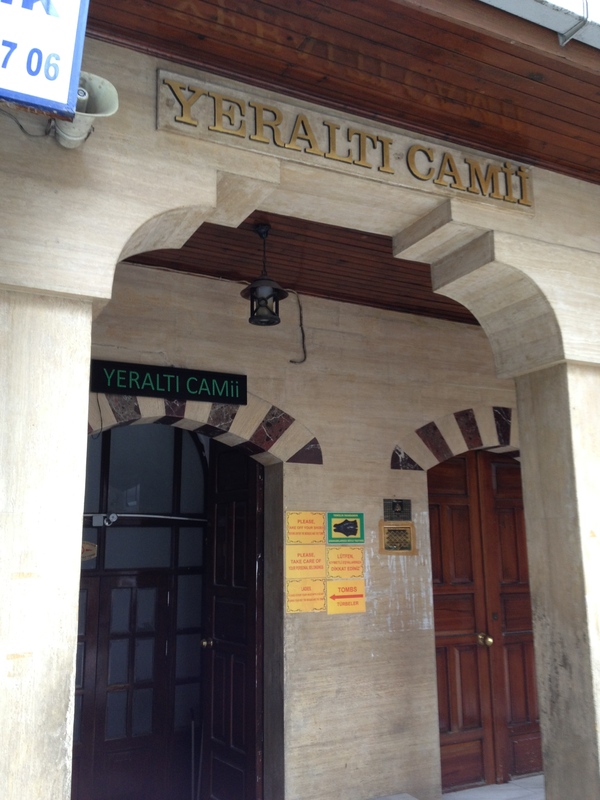 A short way along on our right we come to the obscure entrance of Yeraltı Cami, the Underground Mosque. This is a strange and sinister place. 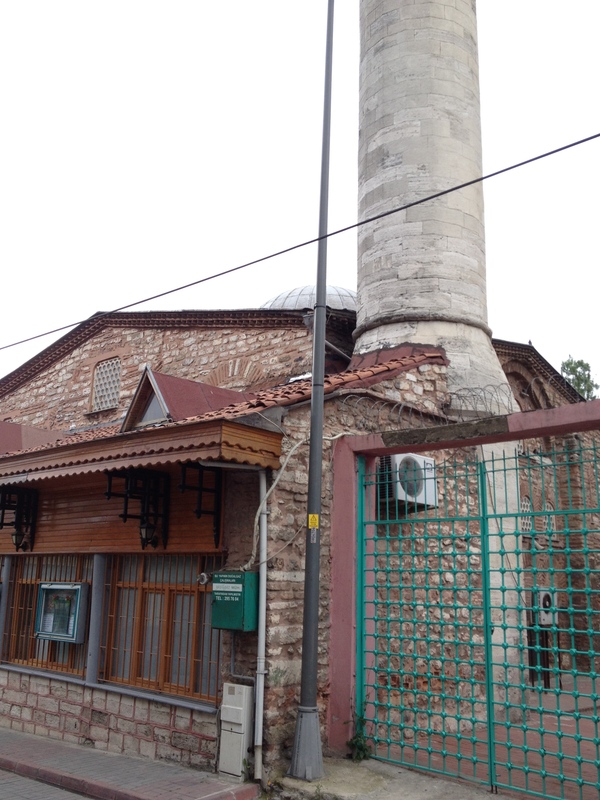 The mosque is housed in the low, vaulted cellar of keep of a Byzantine tower or castle which is probably to be identified with the Castle of Galata. 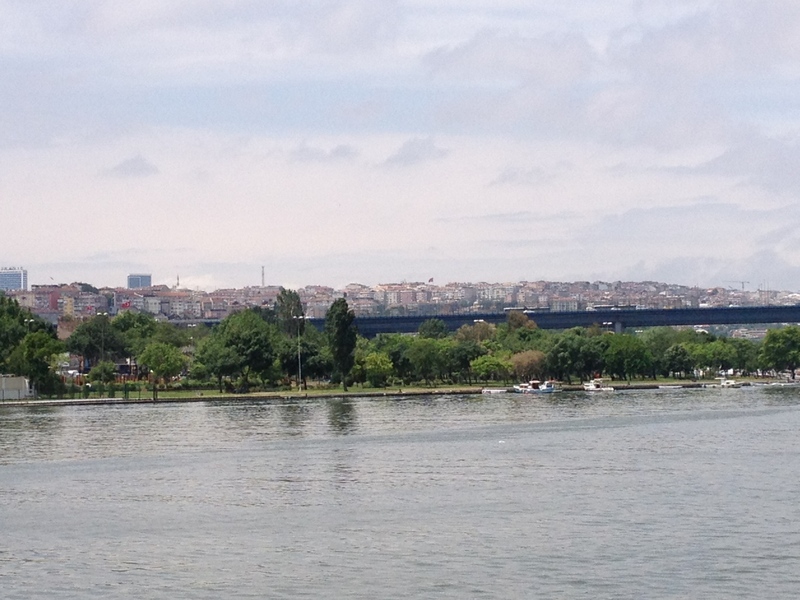 This was the place where was fastened the one end of the chain which closed the mouth of the Golden Horn in times of siege. 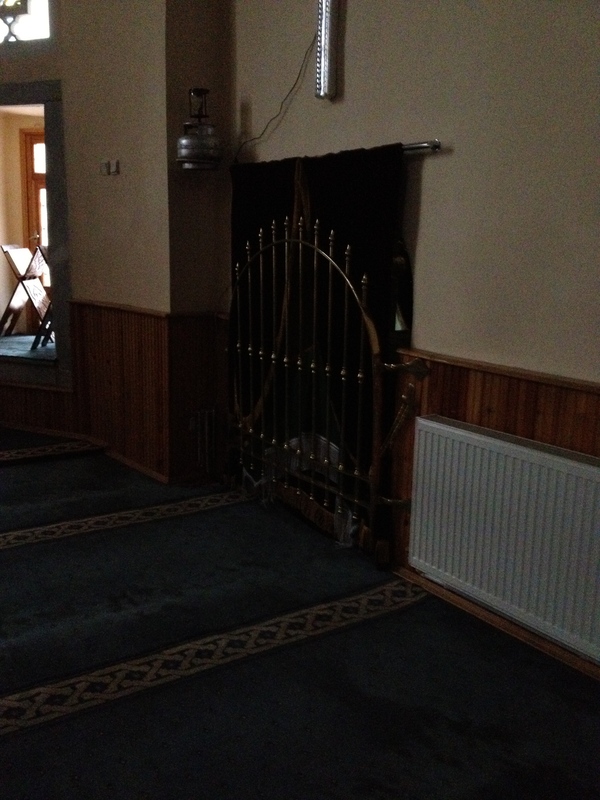 Descending into the mosque, we find ourselves in a maze of dark, narrow passages between a forest of squat passages supporting low vaults, six rows of nine or 54 in all. 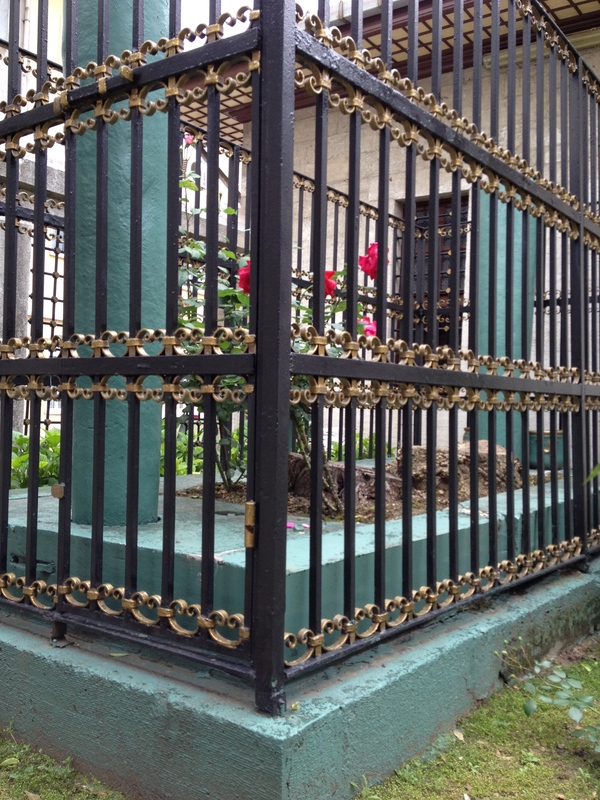 Towards the rear of the mosque we find the tombs of two sainted martyrs, Abu Sufyan and Amiri Wahabi, both of whom are supposed to have died in the first Arab siege of the city in the seventh century. 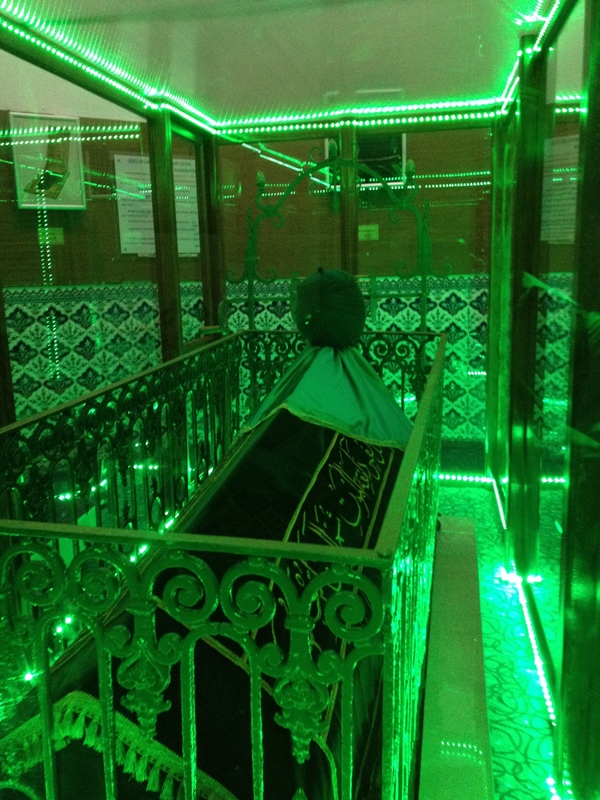 Their graves were revealed to a Nakşibendi dervish in a dream in 1640, whereupon Sultan Murat IV constructed a shrine on the site. 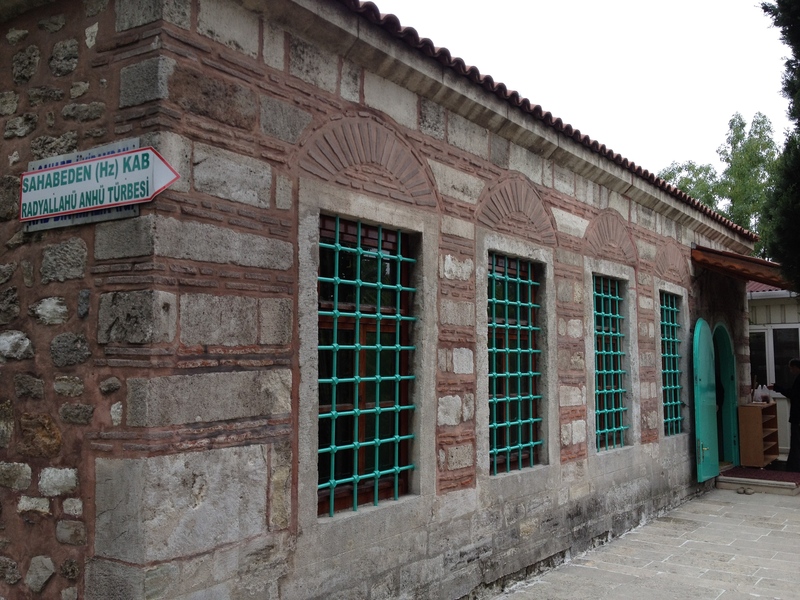 Then in 1757 the whole dungeon was converted into a mosque by the Grand Vezir Köş Mustafa Paşa. 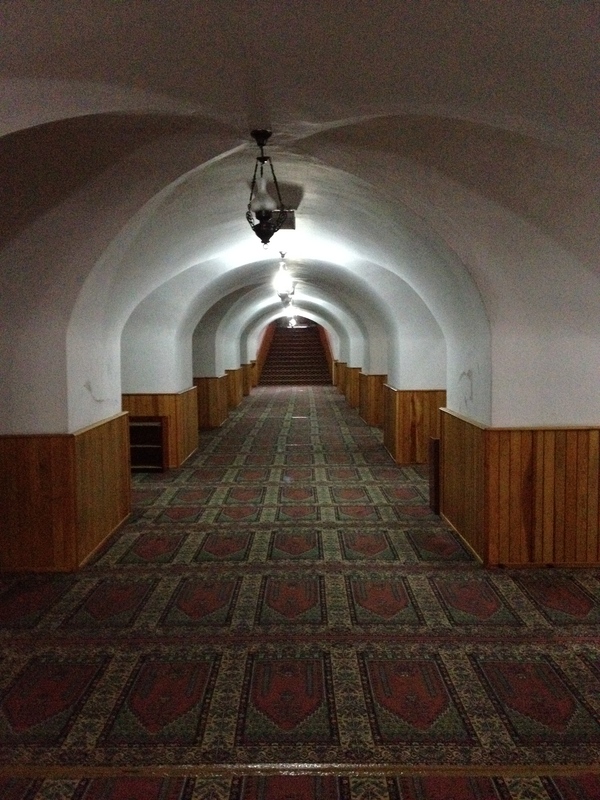 The interior of the Underground Mosque. 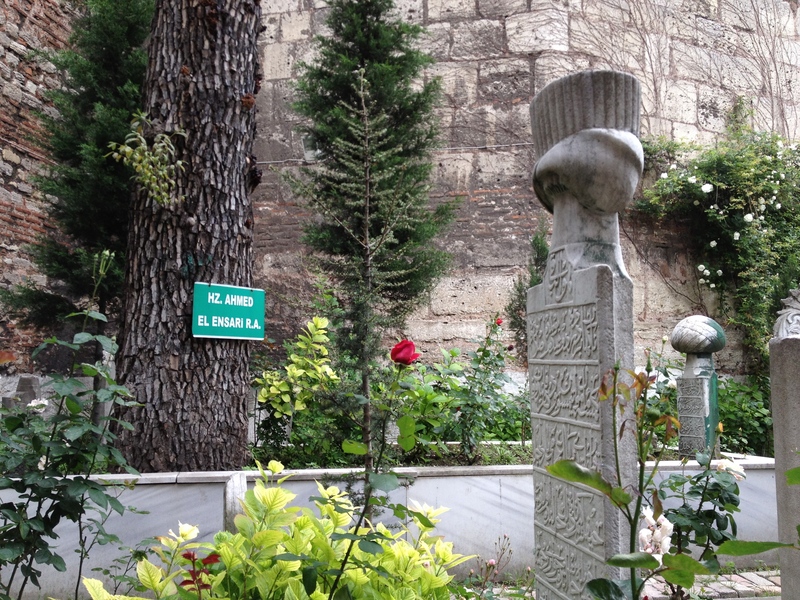 In the centre of the square, Kadirga Liman Meydanı, there is a very striking and unique monument. 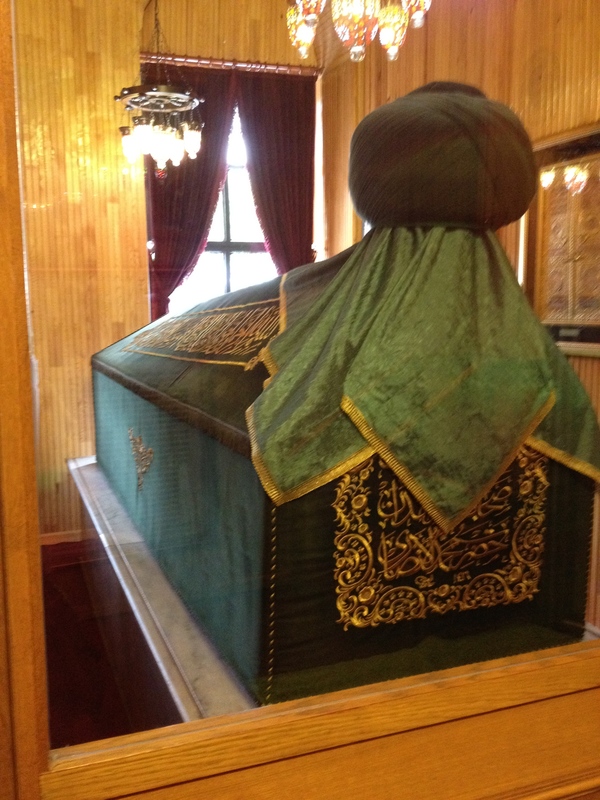 This is the namazgah of Esma Sultan, daughter of Ahmet III, which was built in 1779. 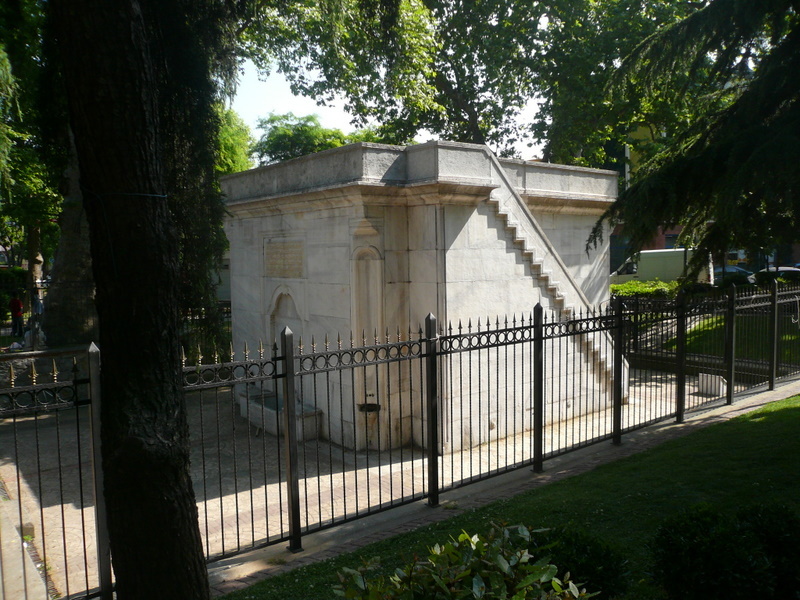 It is a great rectangular block of masonry, on the two faces of which are fountains with ornamental inscriptions, the corners having ornamental niches, while the third side is occupied by a staircase which leads to the flat roof. 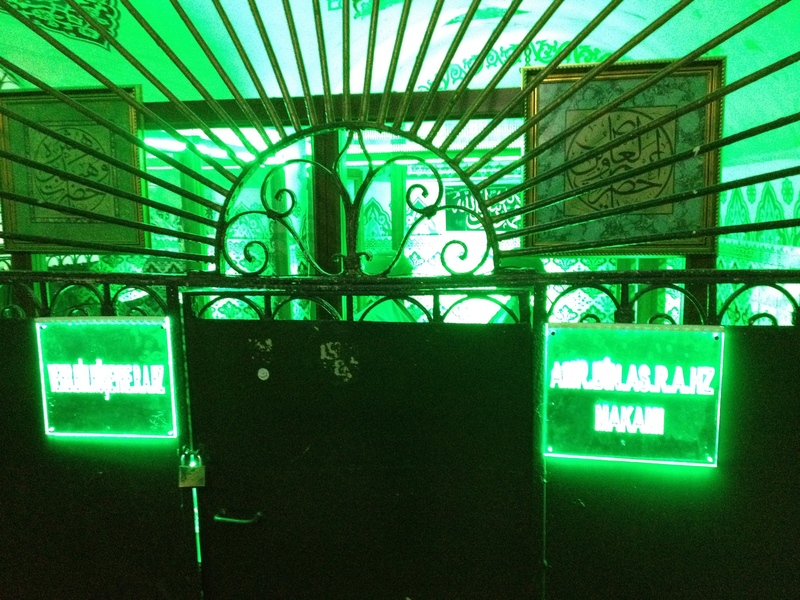 This is the only surviving example in Stamboul of a namazgah, or open-air place of prayer, in which the kıble or direction of prayer is indicated but which is otherwise without furniture or decoration. 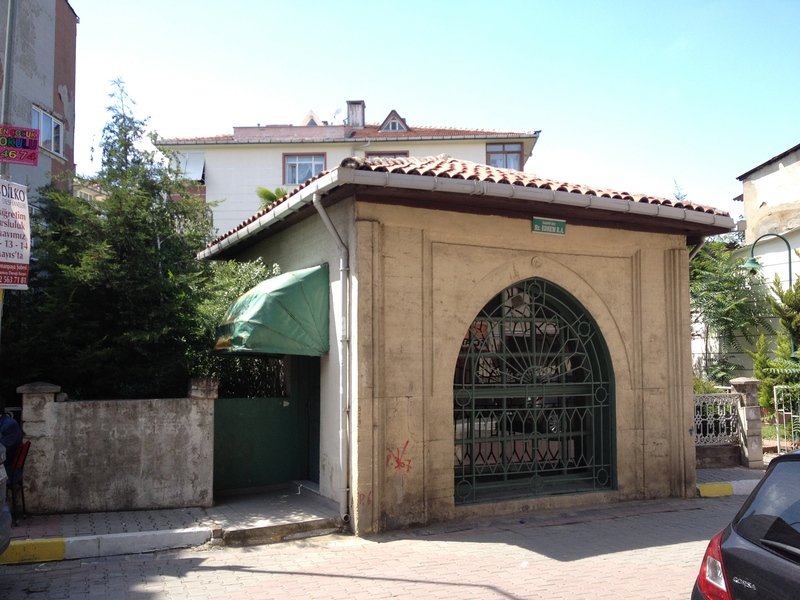 Namazgahs are common enough in Anatolia and the remains of at least two others can be seen in the environs of Istanbul, one in Okmeydanı overlooking the Golden Horn and the other at Anadolu Hisarı on the Bosphorus; but this is the only one left in the old city. 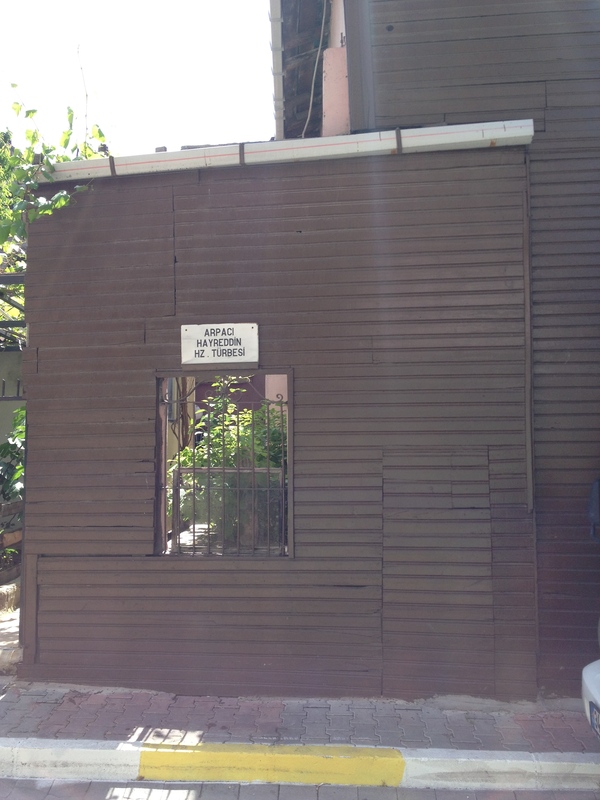 Ironically one is no longer allowed to pray here. 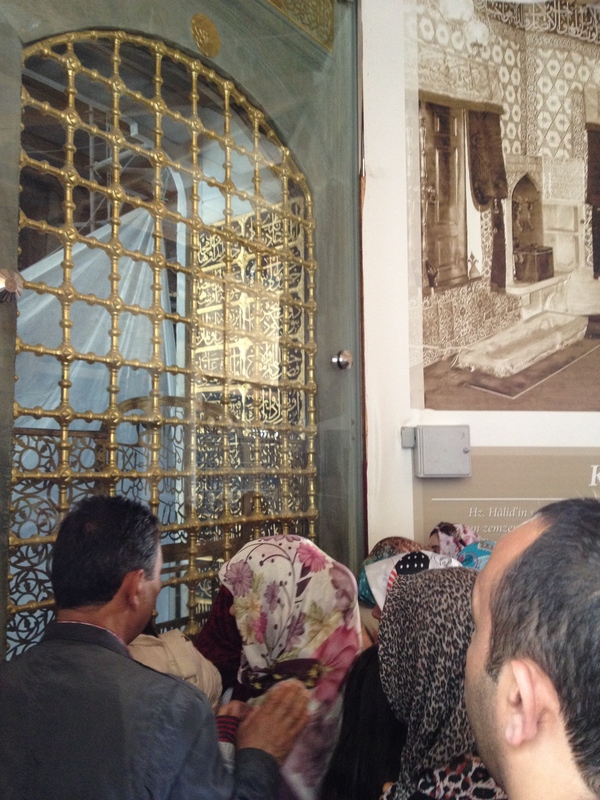 In less than two weeks time I’ll be journeying to Istanbul yet again. 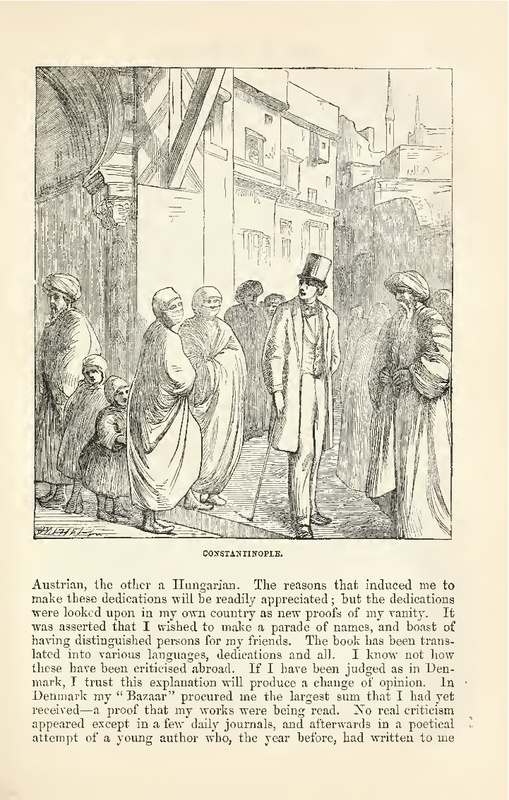 In anticipation of that I wanted to share a wonderful reminiscence of Istanbul from a fellow American, Ernest Gerber,* at the beginning of the 20th century. What you’ll find are Ernest’s striking readings of a number of subjects including Muslim tolerance, Laylat al-qadr, and what I presume to be a Sufi dhikr (rather than Tarawih prayer). But before I begin, a bit of background is in order. 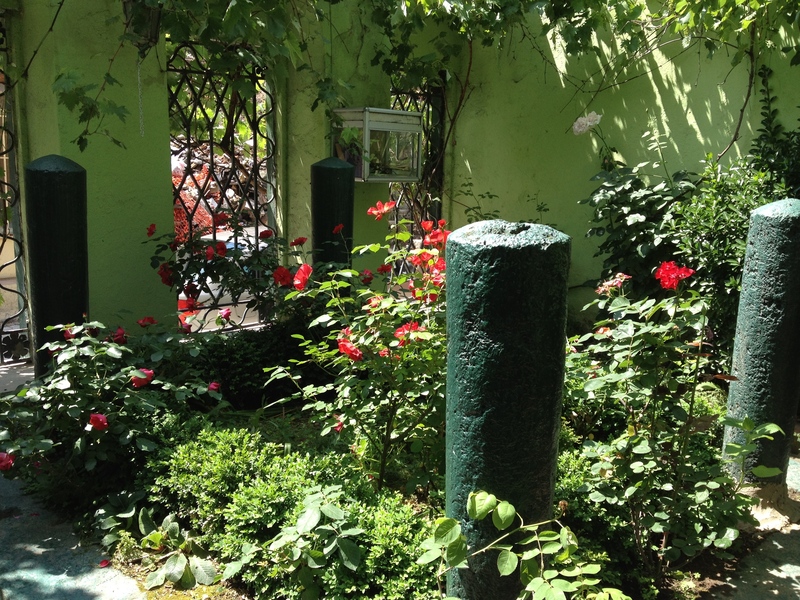 Kiran’s earlier post on The Real Muslims of Lower Manhattan introduced us to the fount of historical information that was gathered and compiled by FDR’s Works Progress Administration (WPA), specifically the Federal Writers’ Project, from 1936 to 1940. The efforts of these writers, however, extended beyond American guide books like our New York City Guide (1939) and New York Panorama (1938). Spread across the country, the writers of the WPA were well positioned to collect the local history and cultural color of many of the America’s oft-overlooked communities and hidden corners. In effect, these writers became the country’s first collective of oral historians. In fact, counted among the hundreds who worked for the WPA was Studs Terkel, who arguably went on to become America’s greatest oral historian. Kiran and I have searched and continue to search through the rich collection of WPA material for other bits of “Islamicana.” Particularly helpful has been the website maintained by the Library of Congress: American Life Histories: Manuscripts from the Federal Writers’ Project, 1936-1940. 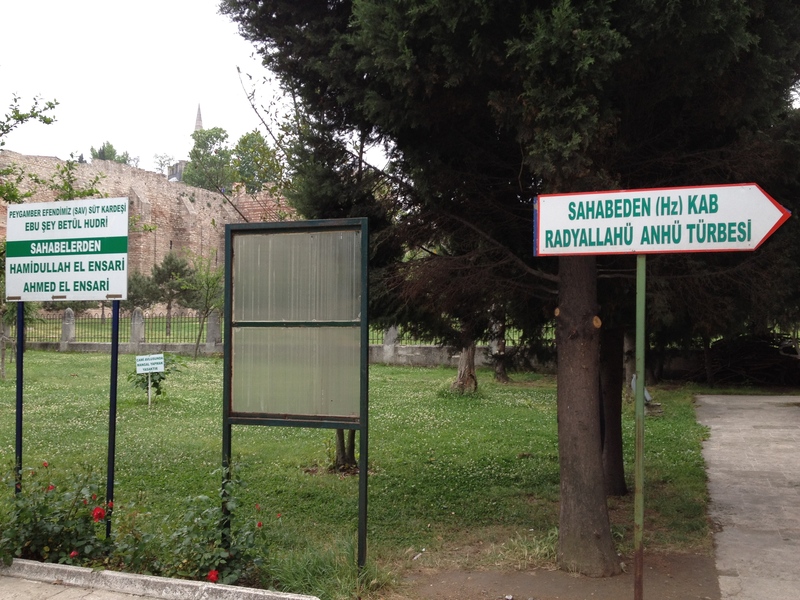 The piece that I wish to share now is just one of our discoveries and seemed exceedingly relevant given my own imminent departure to Istanbul. 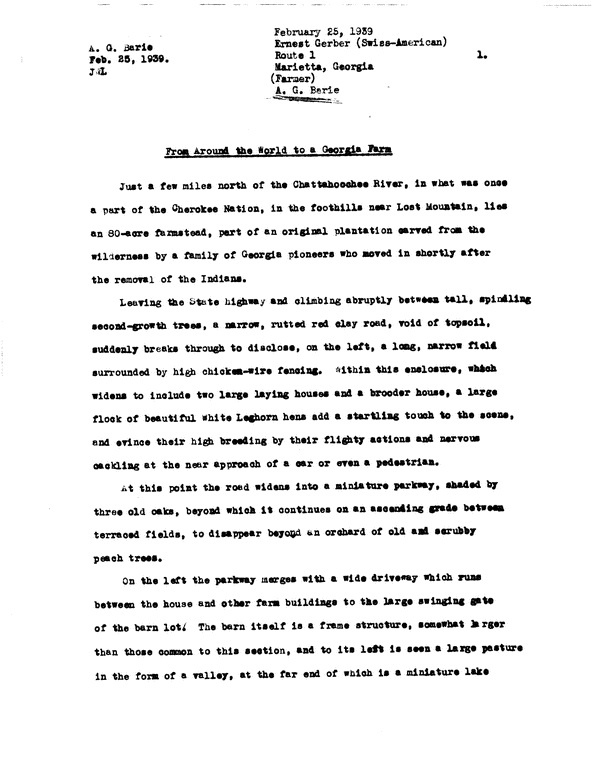 Not only does the Library of Congress provide a rough transcription of the typed interviews, or “life sketches” as they were sometimes called, it also provides digital scans of the original reports. Allow me at last to share with you some excerpts from one remarkable interview entitled “From Around the World to a Georgia Farm.” Rather than being about some aspect of Islam in America, these words have more to do with an American abroad. A WPA writer named A. O. Berie met with a Swiss-American neighbor named Ernst Gerber on the latter’s farm just north of the Chattahoochee River in Marietta, Georgia. Locals also called Ernest “Chief” and “Doc” as the writer does in the following life sketch. The interview was conducted on 25 February 1939, but the story that Ernest related covered nearly his entire life. Well, magazines have carried pictures and fine descriptions of the beautiful mosques and palaces in Turkey and nothing I could say would make them more beautiful or interesting. I do say, though, that the so called Christianized people who are always talking about the Turks or Mohammedans being so terribly intolerant, don’t know what they are talking about. They always cite the fact that the beautiful mosaics in the mosque of St. Sofia have been covered with ochre. Well, did you ever see a picture of the Virgin Mary in a Presbyterian or other protestant church? I have been in St. Sofia many times and the thought came to me the first time that if these people were so intolerant, why didn’t they destroy the mosaics? A Yankee boy with a handful of stones could spoil one in a few good throws. And in many cases the only part of the picture covered is the face, and some of these are not even painted over but covered with a gold star. 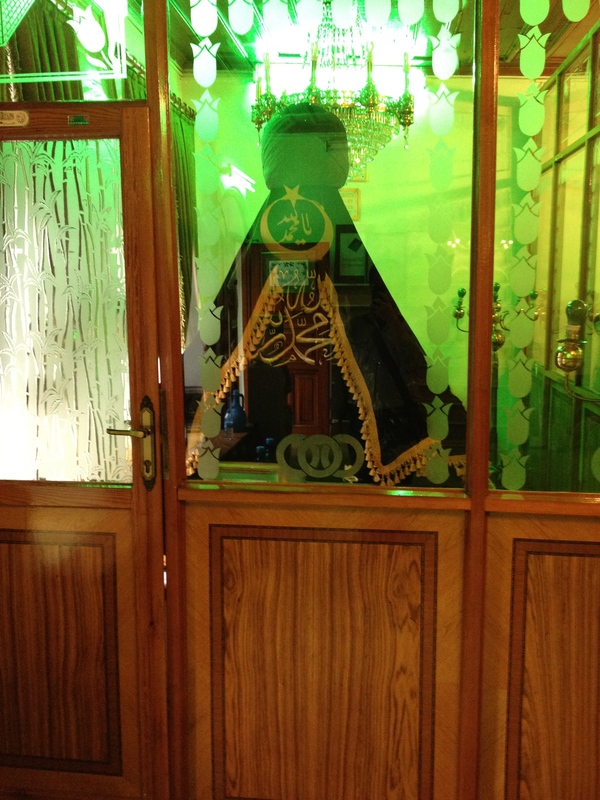 In the same Mosque, on either side of the opening in the hall-way where the faithful enter the inner temple there is a beautiful statue which could have been destroyed with a blow of a hammer; instead they are enclosed in cabinets which are closed up during religious ceremonials, and can be opened to the view of the public at other times. 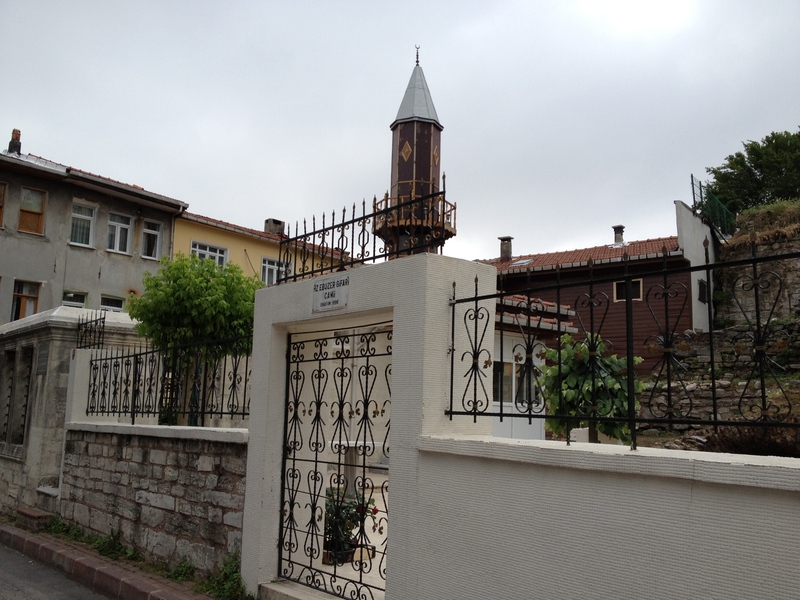 I had a little adventure in connection with this mosque which might be worth telling about. 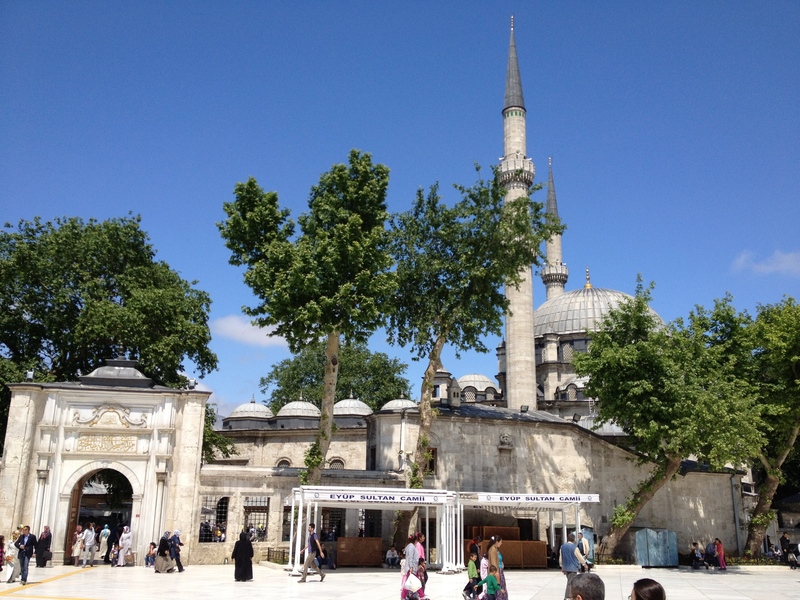 It was built by The Emperor Justinian I as a Catholic shrine, and is considered the third most holy mosque in Turkey. For that reason it was, at that time at least, closely guarded, and no one was allowed to carry anything inside which might desecrate it. I had tried for nearly a year to get permission to photograph some of the interior but was always refused permission. Well, one day I got acquainted with a shepherd who tended his flock not far from there and after I had visited him many times I told him what I wanted. He finally told me of a way to get in through a narrow opening between the bastions in the rear which was covered with bushes. I sneaked through the opening and not seeing the guard inside I set up my tripod and camera and got two good pictures. Just as I was hurriedly taking down the outfit the guard entered and saw me. 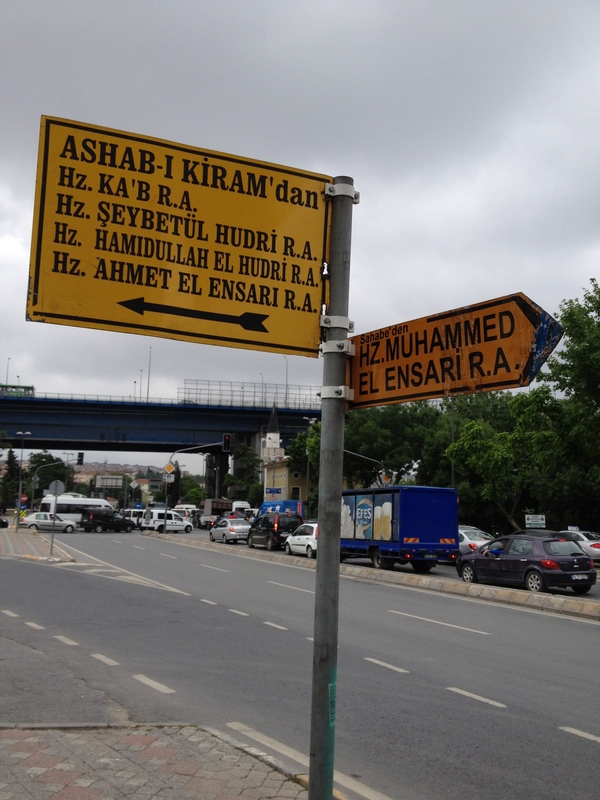 He raised his long barreled rifle and was about to drill me when the shepherd rushed in with his hands up, shouting the Arabic word for “immunity.” This was my cue and I dug out my embassy assignment card and handed it to him. Of course he didn’t know what it said but as we were immune from about everything else he thought I hadn’t got a picture yet he finally got friendly and was very courteous from then on. 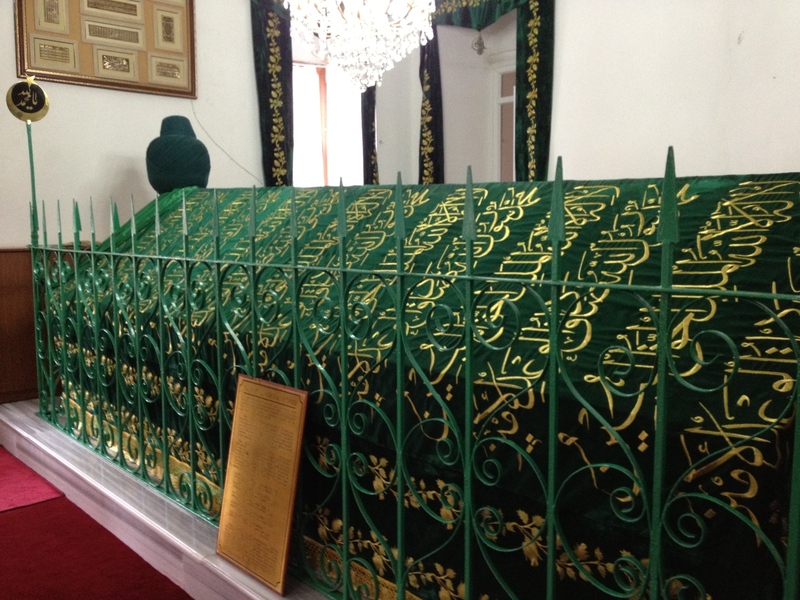 One day I heard that some prominent man had died and his funeral was to be held at the Mosque of Ayoub [Eyup], on the Golden Horn. Hiking out there I joined the crowd lining the street and waited for the ceremonial procession. I noticed a young man in European clothes standing next to me and spoke to him in Arabic. He answered me in better English than I ever spoke and we immediately became friends. 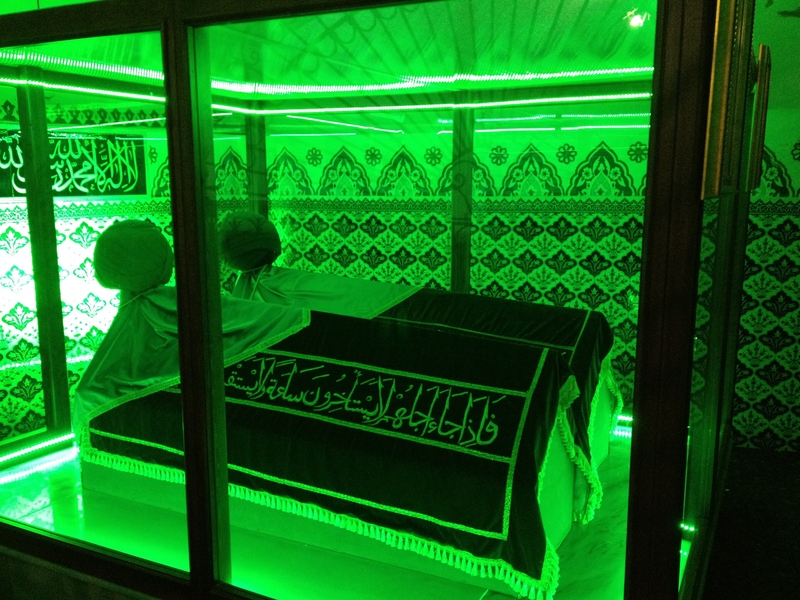 He was highly educated in English and other languages, was a graduate of one of our own famous universities, and was the personal secretary of the Sheik El Islam, the spiritual head of the Church in that part of the empire. 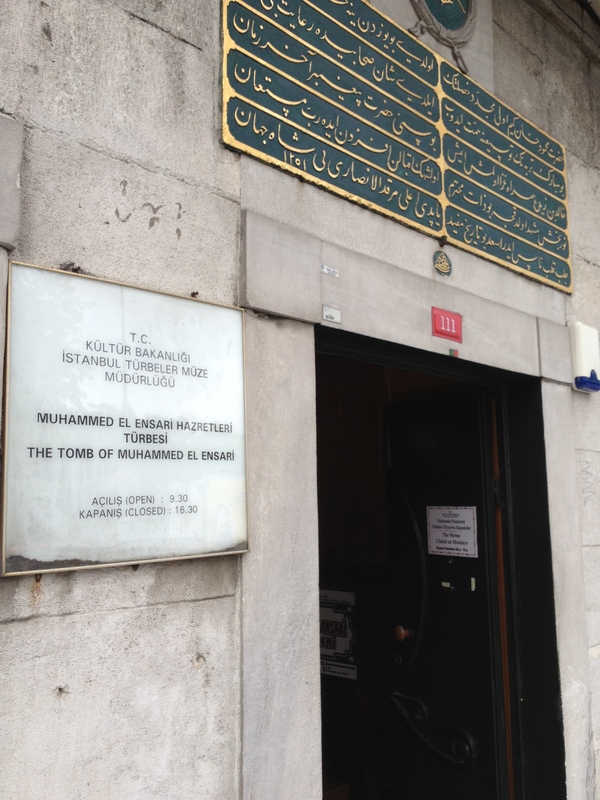 He did me many favors during the rest of my stay and helped me to learn more of the Mohammedans and their customs. 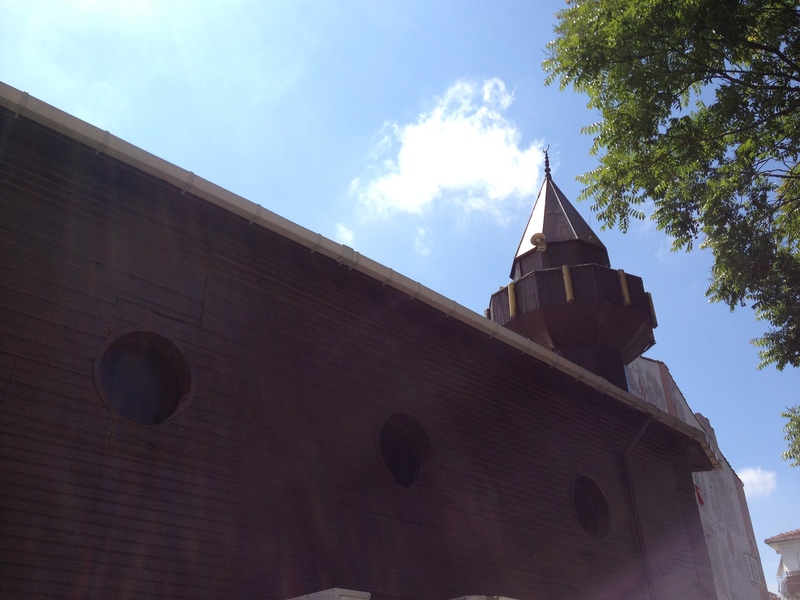 Not long after we met, the month of the Ramidan [Ramadan] began. During this period, which begins when the first sickle of the new moon appears after the Vernal Equinox, the faithful fast every day from sunrise to sundown, not even a drop of water reaching their lips. But you’d ought to see them eat and drink between sunset and sunrise! They sure do make up for lost time. During this month there is one night set apart from the rest and called the Night of Power [Laylat al-qadr]. On this night the spirits are supposed to descend on each worshipper and give him the power to control his body and mind, in fact make them sort of supermen. That is, if they are able to get themselves wrought up to the proper pitch for the reception of the power. I had long wanted to witness one of these gatherings but it seemed I was doomed to disappointment, until I met my new friend and asked him if he could help me out. Well, through his influence with the Sheik I was permitted to attend, clothed in the proper robes and instructed how to act. I must say that I was not greatly impressed with the show. It was not nearly as wild as I had been led to believe; in fact, I’ve seen a lot crazier demonstrations of fanatical emotionalism right here at home at Holy Holler meetings. Very few of the worshipers went into contortions and for the most part it was more of a mass action, the robed figures swaying from side to side and forward and back in unison, me with the rest of them. Maybe its all hooey, but I know from close contact with them that they sure do know how to control their tempers, especially when some fool white man does something that would mean fight right now in any other country. The interview continues beyond this and at the very end of the typed report is a brief note scrawled in an expedient cursive hand. It dispassionately states “The subject of this sketch died on Dec. 23-1940” (p. 40) meaning that Ernest Gerber passed away almost two years after having been interviewed. *In memory of Ernest Gerber (12 January 1883 – 23 December 1940). Thank you Ernest for your memories, sincerity, and honesty and thank you to the men and women of the Federal Writers’ Project for saving so much that would have otherwise been lost. 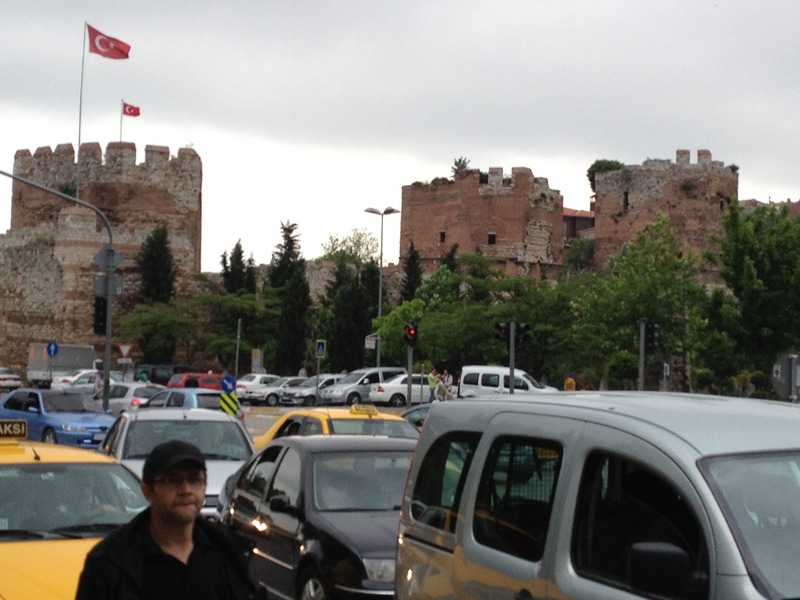 No, I didn’t find my old sweetheart in that port [Constantinople] but there was plenty of others. Now, I’m not going to spill a lot of hooey about the morals of sailors or make excuses, but what the folks call the immorality of the foreigners is a damn sight better than the same thing in some of the so-called civilized countries. Now, you take a man assigned to shore duty for a long stretch; he would have to spend most of his spare time on the ship, if he didn’t live on shore, and would have to be in at certain hours and put up with a lot of other regulations. Well, he can rent a good room and kitchenette for five dollars a month, get him a good looking girl, and live like a king. Yes, they do everything a wife would do and a lot more than most of them. And let me tell you, they are a darn sight more capable and economical in running a house than the girls here. They have it bred into them in those countries… They mend and press your clothes, buy the groceries, do the cooking, and they sure can cook, and keep the place spotlessly clean. And while you have her she is your woman and nobody else can touch her. Yes, as soon as you’re gone she will be looking for another man, but they got to live just like everyone else.